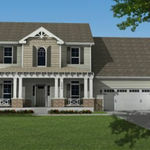 Have you been looking for new construction homes in Wilmington and not been impressed by the lot sizes? Then, take a look at Sycamore Grove in the Monkey Junction area, which boasts “larger than average” lot sizes. 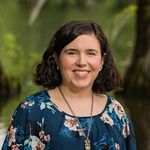 Homesites sold in the past have varied from .29-.46 acres and have the added bonus of being wooded; so, homeowners get an established feeling from early on despite the homes being new. Homes start in the low $200s and include Cottage, Craftsman, and Traditional Styles. 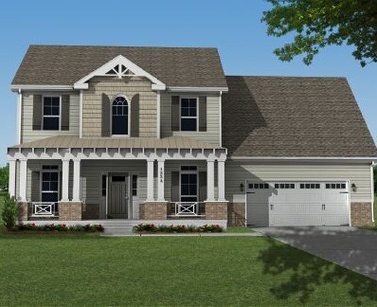 There are 12 floor plans by Bill Clark Homes and they range from 1820 – 3320 square-feet. Standard features include stainless steel Whirlpool appliances, James Hardie Siding with a 15 year warranty, chair rail molding, wainscoting, oak hardwood flooring in kitchen and foyer, and ceramic tile in master bath. Other optional features include pre-finished hardwoods in the living room; a fireplace with built-in shelves; a soaker tub with separate shower in master bath; brick or stone accents; and maple cabinets, granite countertops, tile backsplash, and recessed and pendant lighting in the kitchen – just to name a few! To understand the full range of options, you really must arrange a showing. View Homes for Sale in Sycamore Grove. Located off Carolina Beach Road, Sycamore Grove is near the growing area of Monkey Junction where there is plenty of shopping and restaurants to choose from. It’s also a short drive to Carolina Beach, including its state park, public beach access, charming boardwalk, entertaining year-round festivals, and excellent seafood restaurants. But owners might not want to stray far, because the community features a club house and outdoor swimming pool! 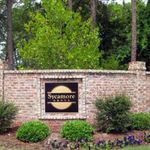 If you’re interested in receiving more information about Sycamore Grove or scheduling a showing, please contact us at 910.202.2546 or by sending us a message through our Contact page. We’d be happy to help you in any way we can! There are proposed homes currently on the market, but many other options that aren’t listed in the local MLS. So, it’s definitely worth digging further.